ITIL® Foundation is a comprehensive collection of best practices framework from AXELOS Limited, UK, in delivering IT services effectively and efficiently that brings value to customers. Certificate in ITIL Foundation is a proof that the person understands ITIL terminology, structure and basic concepts and has comprehended the core principles of ITIL practices in IT Service Management. The IT Infrastructure Library (ITIL) is a set of concepts and techniques for managing information technology (IT) infrastructure, development, and operations. ITIL is the most widely accepted Best Practices Framework in IT Service Management in the world. This is relevant to anyone involved in the delivery or support of IT services. Participants need to attend the ITIL® Foundation Examination within 15 days from the date of training. Participants need to go through the online course for a minimum of 8 hours before attending the training, for which they will receive access to our online self learning content immediately after registration. Participants need to score a minimum of 80% in the 2 simulation tests available on our online portal before attending the final examination. The participant does not clear the ITIL® examination in first attempt, then we will reimburse the re-examination fee. However, the participant needs to take the re-exam within 10 days from the date of first attempt. If the participant could not clear the exam in 2 attempts, then we will reimburse the total fee after deducting the examination fee paid for the participant by us. Tutorial Consulting will book the exam for the participants either through paper-based or voucher-based depending on the training and participant requirement. If a participant failed in the first attempt, then Tutorial Consulting will provide a voucher to the participant to be appeared in a Web-Proctor exam. If the participant could not clear the exam in 2 attempts, then Tutorial Consulting will reimburse the total fee paid by the customer for the training after deducting the examination fees already paid by Tutorial Consulting for the participant. When Money-Back Guarantee is Void? Participant not maintaining 100% attendance in the training. Participant not taking the exam within 15 days from the date of training. Participant not taking the re-examination within 10 days from the date of first attempt. Participant not going through the online self learning content before attending the training. Participant not scoring 80% or more in 2 simulation tests. Participant not following the instructions given by the instructor in completing the exercises given in the class. Participants not submitting the required documents to Tutorial Consulting. Program delivered by ITIL Expert, approved & accredited by APMG/CSME with highest proficiency, having vast Industry Experience & have successfully delivered training to large Corporations. Introduction to ITIL Concepts, Terminology - Gain a high level overview of ITIL. The Service Lifecycle - Understand the fundamental ITIL lifecycle stages, processes, functions, roles & responsibilities. Five core publications map the entire ITIL Service Lifecycle. Service Strategy - How to align IT strategy with business goals and expectations. Service Design - Transform business requirements into strategic solutions. Service Transition - Manage change, risk, and quality assurance. Service Operation - Establish & stabilize day-to-day business operations and customer expectations. Continual Service Improvement - Strategize for overall process and service improvement. Our course in ITIL® Foundation Certification Training is packed with lots of practical examples and recaps, that reinforces learning and gives a thorough grasp of the concepts. This in turn helps delegates to pass the exam successfully. The ITIL Foundation exam can be taken online or as a paper based test that can be conducted by us. Introduction to ITIL and it’s evolution. Individuals who require a basic understanding ITIL Framework and how it can be used to enhance the quality of IT Service Management in the organization. IT Professionals working within an organization that has adopted to ITIL and who needs to be informed thereafter to contribute to an ongoing service improvement program. Redstone will book the exam for the participants either through paper-based or voucher-based depending on the training and participant requirement. If a participant failed in the first attempt, then Redstone will provide a voucher to the participant to be appeared in a Web-Proctor exam. If the participant could not clear the exam in 2 attempts, then Redstone will reimburse the total fee paid by the customer for the training after deducting the examination fees already paid by Redstone for the participant. Participants not submitting the required documents to Redstone. Blended learning with instructor-led-online classrrom sessions and online self learning. 24 PDUs- will benefit PMP certified professionals in maintaining their PMP® credential. Program delivered by ITIL Expert, approved & accredited by APMG/CSME with highest proficiency, having vast Industry Experience & have successfully delivered training to big Corporate. This course is designed for IT Professionals who would like to learn ITIL and take the ITIL exam. The course includes the ITIL Foundation eLearning Course, plus the ITIL Foundation Exam Preparation eLearning Course. This advanced bundle for IT Professionals who currently use or plan to use ITIL and are interested in becoming an expert in ITIL Best Practices. What are the Eligibility Requirements for ITIL® Foundation? The ITIL® Foundation is an entry level Training Program. There are no required prerequisites to take the Exam. However, IT experience is highly recommended. Where should I be doing my ITIL® Certification Program? It is a good idea to get trained from an Accredited Training Organization (ATO) since they are approved by APMG and legally permitted to conduct Training and Certification. The syllabus and the trainer will be assessed and approved by AXELOS Limited- the governing body for ITIL®. What next after ITIL® Foundation? 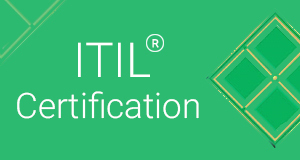 Once you are ITIL® Foundation Certified, then you are eligible to take Certification Training at the Intermediate level; leading to ITIL® Expert. Please note that there are 2 separate streams at the Intermediate level. Depending on your area of focus you choose a particular stream. What are the Modules offered in the Intermediate Streams? What are ITIL Credits and how does one acquire them? To become an ITIL® Expert you are required to have a minimum of 22 credits. The credit per module is mentioned adjacent to each module. You can either do all the modules in Service Life Cycle or do all the modules in Capability or a combination from either stream. However to do MALC, which is mandatory, one needs to have a minimum of 17 credits. Successfully passing MALC will fetch two certifications - one for completing MALC and the second - the coveted ITIL® Expert Certification. What is the duration for each Course? The course duration is as per the credits awarded for each module. It is 3 days for Service Life Cycle, 4 days for Capability and 5 days for MALC. What is the difference between the Service Life Cycle and the Capability Stream? The Capability module is for those who are basically interested in designing, developing and implementing processes that meet business objectives. For example Process Owners, Process Managers, and Process Practitioners. Who administers the ITIL® Exams? The ATO will be offering the examination. Exams are offered paper based and online. Exams taken Online display your result immediately. Whereas it may take 3-4 working days to get the result for a paper based exam. Each Examination Institute has their own model for conducting the Exam. What is an Examination Institute? There are many Examination Institutes that are accredited through AXELOS. They simply conduct the Exam. Training Institutes, such as Redstone Learning have to be accredited with one or several of such Examination Institutes such as APMG International, TUV-SUD Germany, EXIN. What is considered a passing score for the ITIL® examination? Foundation: A minimum score of 26/40 (65%) is required to pass the Foundation Exam. Intermediate Level Exams: A minimum score of 28/40 (70%) is required to pass an Intermediate Exam. MALC Exam: A score of 35/50 (70%) is needed to pass the MALC exam. What is the method of awarding marks? There are no negative marks given for any of the Examinations. The marks for the Foundation Exam is either a 1 for a correct answer, and 0 for a wrong answer. For the intermediate examination it is different since it is gradient based. The best/correct answer will fetch full 5 marks. An almost right answer will fetch 3 marks. A slightly correct answer will fetch 1 mark, and 0 for a wrong answer. There is no validation as such. If there is a major change – similar to what happened with ITIL® v2 to ITIL®v3, then there may be a bridge exam. However as of now there is no such indication of a major change coming up in the near future. How could I develop into an ITIL® approved trainer? All ITIL® trainers must be "sponsored" by an ITIL® Accredited Training Organization (ATO). They should have minimum of 9 credits. Proof of certification along with profile should be forwarded by the ATOs lead trainer to the Examination Institute. The lead trainer should mentor the new trainer and the Examination Institute will also conduct an interview to assess the capability of the new trainer. Well organized training. Outstanding trainer who is extremely knowledgeable of course content. Materials were well prepared and gave tons of useful learning benefits. I would definitely use your service again for future training needs. The instructor did an awesome job of explaining the course! The material was very easy to use with a lot of practice questions to prepare you for the exam! Instructor provides real-life examples and situations not covered in course material. She made sure that I understood key points before moving on in the lesson. Excellent course, most customers are in ITIL TOGAF shops. Understood use of tools in both, and entire security as well. The practical application of concepts was just great.. Phenomenal instructor!! She takes the concepts from the book and translate them to how to our day to day work life should go. At times where we struggled for comprehension she didn’t hesitate to work though lunch to help me. The trainer was excellent, very accurate and responsive. She made everything clear.I would recommend this course. The trainer was great!! She gave us great insight to the entire process of ITIL. She was entertaining and very motivational. I would love to join more courses taught by Redstone. I extremely enjoyed this class. Our instructor made the class very interactive and enjoyable. The accommodations were excellent. I would recommend this course to others and will be using Redstone again.